04/19/13 Kia motors corporation (kia) is recalling certain model year 2007-2010 rondo, model year 2007-2011 sedona, sorento and sportage, model year 2010-2011 soul, model year 2008-2011 optima, model year 2010 forte, model year 2007-2009 amanti, and model year 2009 borrego vehicles. originally, in april 2013, kia recalled 623,658 model year 2007-2010 rondo and sportage, model year 2007-2011 sorento, model year 2007 sedona, model year 2010-2011 soul, and model year 2011 optima vehicles. in september 2013, kia informed the agency that it was adding an additional 356,719 vehicles to this campaign. the total number of vehicles being recalled is now 980,377. in the affected vehicles, the stop lamp switch may malfunction. a malfunctioning stop lamp switch may cause the brake lights to not illuminate when the brake pedal is depressed or may cause an inability to deactivate the cruise control by depressing the brake pedal. additionally, a malfunctioning stop lamp switch may also result in intermittent operation of the push-button start feature, affect the operation of the brake-transmission shift interlock feature preventing the shifter from being moved out of the park position and cause the electronic stability control (esc) malfunction light to illuminate. 09/15/06 On certain passenger vehicles, the rear caliper brake hoses may be out of position. an improperly positioned rear caliper brake hose may contact rear suspension components and over time breach the integrity of the hose. This would result in the loss of brake fluid, which could cause decreased brake function, leading to crash and personal injuries. Dealers will inspect the positioning of the rear caliper brake hoses and adjust or replace them free of charge. the recall began on september 15, 2006. owners may contact kia at 1-800-333-4542. Kia recall no. sc061.customers may also contact the national highway traffic safety administration's vehicle safety hotline at 1-888-327-4236 (tty 1-800-424-9153), or go to http://www.safercar.gov. 05/19/03 On certain passenger vehicles, there was a programming error in the anti-lock braking system (abs) electronic control module logic. the programming error could cause reduced braking force at speeds below 25 mph, which could result in increased stopping distances. Such increased stopping distances could result in a crash. Dealers will reprogram the control module. owner notification began may 19, 2003. owners who take their vehicles to an authorized dealer on an agreed upon service date and do not receive the free remedy within a reasonable time should contact kia at 1-800-333-4542. Kia recall no. sc032. customers can also contact the national highway traffic safety administration's auto safety hotline at 1-888-dash-2-dot (1-888-327-4236). 12/31/69 Kia motors america (kia) is recalling certain 2010-2013 kia forte, forte koup, 2011-2013 kia optima and 2011-2012 kia optima hybrid and sedona vehicles. in the event of a crash, the air bag control unit (acu) may short circuit, preventing the frontal air bags and seat belt pretensioners from deploying. 07/27/16 Suspension and Steering Kia motors corporation (kia) is recalling certain model year 2006-2012 kia sedona vehicles manufactured from june 15, 2005, through august 14, 2012 and originally sold in, or currently registered in alaska, connecticut, delaware, illinois, indiana, iowa, kansas, kentucky, maine, maryland, massachusetts, michigan, minnesota, missouri, nebraska, new hampshire, new jersey, new york, north dakota, ohio, pennsylvania, rhode island, south dakota, utah, vermont, west virginia, wisconsin and the district of columbia. in the affected vehicles, the front lower control arms may break due to corrosion from salt water exposure such as from road salt use. 12/20/13 Suspension and Steering Kia motors corporation (kia) is recalling certain model year 2006-2012 kia sedona vehicles manufactured from june 15, 2005, through august 14, 2012 originally sold in, or currently registered in massachusetts, maryland, michigan, new hampshire, new york, pennsylvania, vermont, wisconsin, connecticut, delaware, iowa, illinois, indiana, maine, minnesota, missouri, new jersey, ohio, rhode island, west virginia or the district of columbia. in the affected vehicles, the front lower control arms may break due to corrosion resulting from prolonged exposure to salty environments. 04/19/13 Electrical and Air Conditioning Kia motors corporation (kia) is recalling certain model year 2007-2010 rondo, model year 2007-2011 sedona, sorento and sportage, model year 2010-2011 soul, model year 2008-2011 optima, model year 2010 forte, model year 2007-2009 amanti, and model year 2009 borrego vehicles. originally, in april 2013, kia recalled 623,658 model year 2007-2010 rondo and sportage, model year 2007-2011 sorento, model year 2007 sedona, model year 2010-2011 soul, and model year 2011 optima vehicles. in september 2013, kia informed the agency that it was adding an additional 356,719 vehicles to this campaign. the total number of vehicles being recalled is now 980,377. in the affected vehicles, the stop lamp switch may malfunction. a malfunctioning stop lamp switch may cause the brake lights to not illuminate when the brake pedal is depressed or may cause an inability to deactivate the cruise control by depressing the brake pedal. additionally, a malfunctioning stop lamp switch may also result in intermittent operation of the push-button start feature, affect the operation of the brake-transmission shift interlock feature preventing the shifter from being moved out of the park position and cause the electronic stability control (esc) malfunction light to illuminate. 06/17/09 Electrical and Air Conditioning Huyndai-kia is recalling 139,844 my 2006-2007- sedona, sportage, sorento and my rondo and amanti vehicles. the stop lamp switch in the affected vehicles may malfunction. a malfunctioning stop lamp switch may cause the brake lights to not illuminate when the brake pedal is depressed or may cause the brake lights to remain illuminated when the brake pedal is released. a stop lamp switch malfunction may also affect the operation of the brake-transmission shift interlock feature so the transmission shifter would not be able to be shifted out of the park position. it may also cause the electronic stability control (esc) malfunction light to illuminate, and it may not deactivate the cruise control when the brake pedal is depressed. Dealers will replace the stop lamp switch free of charge. 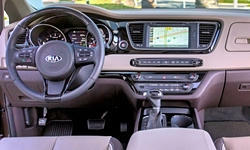 the recall began on june 17, 2009. owners may contact kia's consumer assistance center at 1-800-333-4542. Hyundai-kia recall no. sc077.owners may also contact the national highway traffic safety administration's vehicle safety hotline at 1-888-327-4236 (tty 1-800-424-9153), or go to http://www.safercar.gov . 09/29/06 Electrical and Air Conditioning On certain passenger vehicles equipped with adjustable brake pedals, the stop lamp switch wiring harness may be out of position. an improperly positioned stop lamp switch wiring harness could make contact with the u-joint assembly of the steering column. repeated contact may eventually cause the wiring harness insulation to chafe. Chafed insulation could cause a short of the wiring harness resulting in the loss of brake lights, engine stalling, or an inability to start the vehicle increasing the risk of a crash. Dealers will inspect the wiring harness for chafing and, repair if necessary. in addition, the dealer will secure the wiring harness to prevent contact with the u-joint assembly. the recall began on september 29, 2006. owners may contact kia at 1-800-333-4542. Kia recall no. sc065.customers may also contact the national highway traffic safety administration's vehicle safety hotline at 1-888-327-4236 (tty 1-800-424-9153), or go to http://www.safercar.gov. 03/21/05 Electrical and Air Conditioning On certain mini vans, during assembly, the throttle cable would twist itself out of position. This can permit the cable to be hung up, which could result in a crash. Dealers will replace the throttle cable free of charge. vehicles produced from march 20, 2001 through november 7, 2001 will have a guide clip installed on the throttle body assembly in order to ensure that the tension force cable does not move out of position. vehicles manufactured beginning on november 8, 2001, already have the extended guide, which accomplishes the same objective. the recall began march 21, 2005. owners may contact kia at 1-800-333-4542. Recall no.sc042.customers may also contact the national highway traffic safety administration's vehicle safety hotline at 1-888-327-4236 (tty 1-800-424-9153), or go to http://www.safercar.gov. 12/31/69 Electrical and Air Conditioning Kia motors america (kia) is recalling certain 2015-2018 kia sedona vehicles equipped with a power sliding door (psd). the psd may not auto-reverse when its closing is obstructed. Kia will notify owners, and dealers will reprogram the psd module software, free of charge. the recall is expected to begin june 18, 2018. owners may contact kia customer service at 1-800-333-4542. kia's number for this recall is sc164. 07/27/16 Other Kia motors corporation (kia) is recalling certain model year 2006-2014 kia sedona vehicles manufactured from june 15, 2005, through april 04, 2014. in the affected vehicles, the secondary hood latch may bind and remain in the unlatched position when the hood is closed. 06/13/05 Other On certain mini vans equipped with alloy wheels, moisture can accumulate around the rear hub caps causing damage to the outer wheel bearing. Wheel bearing failure may occur without warning which could result in a crash. Dealers will replace the rear hub caps free of charge. upon inspection, some vehicles will also require replacement of the rear outer bearings and/or hub assembly. the recall began on june 13, 2005. owners may contact kia at 1-800-333-4542. Kia recall no. sc-049. customers may also contact the national highway traffic safety administration's vehicle safety hotline at 1-888-327-4236 (tty 1-800-424-9153), or go to http://www.safercar.gov. 04/25/03 Other On certain passenger vehicles, some of the second and third row seat strikers installed on the vehicle floor pan have been improperly heat treated and could break in a crash. This could result in injuries to occupants of these seats. Kia recall no. sc030.customers can also contact the national highway traffic safety administration's auto safety hotline at 1-888-dash-2-dot (1-888-327-4236). 02/24/03 Other Certain mini vans fail to comply with the requirements of federal motor vehicle safety standard no. 209, "seat belt assemblies." the second and third seat belt buckle anchor bolts do not comply with the standards. Dealers will replace the seat belt buckle anchor bolts. owner notification began february 24, 2003. owners who take their vehicles to an authorized dealer on an agreed upon service date and do not receive the free remedy within a reasonable time should contact kia at 1-800-333-4542. Kia's recall number is sc023.customers can also contact the national highway traffic safety administration's auto safety hotline at 1-888-dash-2-dot (1-888-327-4236). 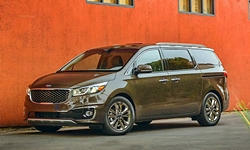 12/31/69 Other Kia motors america (kia) is recalling certain 2015-2018 kia sedona vehicles equipped with a power sliding door (psd). the psd may not auto-reverse when its closing is obstructed.